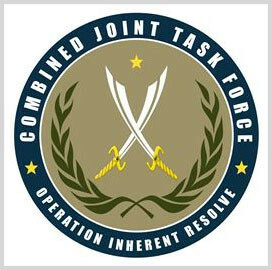 SOUTHWEST ASIA–(ENEWSPF)–May 30, 2017 — U.S. and coalition military forces continued to attack the Islamic State of Iraq and Syria yesterday, conducting 26 strikes consisting of 66 engagements, Combined Joint Task Force Operation Inherent Resolve officials reported today. Near Dayr Az Zawr, four strikes engaged an ISIS tactical unit and destroyed four ISIS wellheads, an ISIS oil storage tank, an ISIS oil tanker truck and a vehicle. Near Raqqa, 11 strikes engaged nine ISIS tactical units and destroyed five vehicles, a tunnel, a mortar system, a weapons cache, a vehicle-borne-bomb factory and a fighting position. Near Tabqah, three strikes engaged two ISIS tactical units and destroyed two fighting positions, an ISIS oil separator tank and an ISIS headquarters. Near Raqqa, four strikes destroyed a weapons cache, an ISIS staging area and three fighting positions. Near Beiji, a strike engaged an ISIS tactical unit and destroyed two vehicles and a vehicle-borne bomb staging area. Near Mosul, four strikes engaged four ISIS tactical units and destroyed 34 vehicles, seven fighting positions, three vehicle-borne bombs, two mortar systems, two heavy machine guns, a medium machine gun and a supply cache and damaged an ISIS-held building, an ISIS supply route and a fighting position. Near Rawah, a strike engaged an ISIS tactical unit and destroyed an ISIS-held building. Near Tal Afar, two strikes engaged an ISIS tactical unit and destroyed two cave entrances and an ISIS staging area.